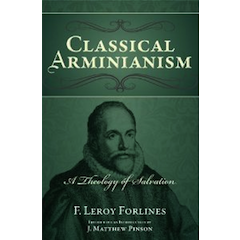 “first, that the sovereignty of God requires unconditional election and thus precludes conditional election; second, that total depravity precludes the response of faith from a sinner unless he is first regenerated by the Holy Spirit; and third, that the fact that salvation is free precludes conditional election” (F. Leroy Forlines, Classical Arminianism: A Theology of Salvation. Nashville: Randall House, 2011, page 46). While all three assumptions are important to tackle, in this post I will only deal with the first assumption: that is, that Calvinists believe the sovereignty of God necessitates unconditional election. How can one define divine sovereignty? “The sovereignty of God [divine sovereignty] is the biblical teaching that all things are under God’s rule and control, and that nothing happens without His direction or permission...the sovereignty of God is not merely that God has the power and right to govern all things, but that He does so, always and without exception. In other words, God is not merely sovereign de jure (in principle), but de facto (in practice)”(http://www.theopedia.com/Sovereignty_of_God). According to the Theopedia definition, “nothing happens without His direction or permission.” What we can gather from this definition is that some things are directed by God (that is, God intends for those things to happen), while other things are “permitted” by God (in the realm of permission, we would mention all types of sin, wickedness, and ungodliness). Notice that in the area of “permission,” God “allows” sin to occur; but by allowing it, He does not have the same intentions towards sin as He does towards righteousness. Take the issue of salvation: God desires that all be saved and come to the knowledge of the truth (1 Tim. 2:4); nevertheless, God will allow a portion of humanity to go its own way and experience eternal destruction. He did not create any person to experience Hell fire (Matt. 25:41), but He does permit individuals to choose destruction if they so desire it. Now, let’s go back to unconditional and conditional election. To be “sovereign” means to govern all things. Reformed Arminians would agree with this definition of divine sovereignty. And Reformed Arminians would also agree that God must have exhaustive foreknowledge of all things in order to govern them (that is, that divine foreknowledge is essential for divine sovereignty). Where Reformed Arminians would disagree with Classic Calvinism is when such statements are made similar to the basic assumption above: that is, that the sovereignty of God “necessitates” unconditional election. 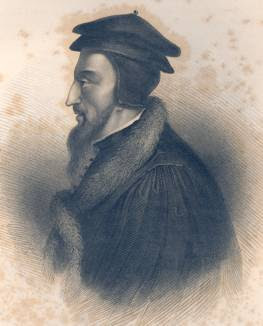 The Classic Calvinist would say that if God is to rule as sovereign, then He must choose without regard to faith or anything else in the individual. The problem with this is that, if God is God, MUST He choose in the way Calvinists say? Is God “confined” to choosing certain individuals, as opposed to allowing all to either accept or reject His Gospel? I don’t think the answer argues in favor of Classic Calvinism. Think of a king. A king is in charge of his own empire. A king is allowed to make the rules and do what he pleases. Would I turn around and say that a king “has” to choose individuals to serve in his court, without such individuals possessing certain qualifications or experience? No. Should the king decide to choose members of his court based on experience, ability, and know-how, then the king can do so. Where in the reign of kings has it been wrong for a king to choose based on certain qualifications if he wants to? Nowhere. What about an employer of a company? If the employer is in charge, can he NOT hire workers based on qualifications? In fact, if an employer did not do that, we would call him crazy; after all, a company cannot be run based on whether a person is “funny” or “likeable.” Great companies are run based on great skill and ability...and we would expect the employer to hire based on skill and ability if he desires his company to last for a long time. Where is it written that it is “foul play” if an employer hires the most qualified and rejects the least qualified? It isn’t. It isn’t wrong for the employer to expect something of his workers. If everyday life functions this way, why would it be any different with the King of Kings and Lord of Lords? Where is it written that God “cannot” require faith in Him as the basis upon which He elects some and not others? Why is it that God cannot be sovereign if He elects based upon faith? Why does the condition rule out God’s sovereignty? Can He NOT set the condition Himself? And if He sets the condition, can He not be said to be sovereign because “He did what pleased Him”? Some would say, “See, you gave an example of work...God cannot save based on faith because faith is a work.” But where is faith ever labeled a “work” in Scripture (Rom. 4:2-4)? After all, does faith NOT serve as a display of divine grace? Does God’s requirement of faith not serve as divine grace, since none can “merit” their way into the kingdom of God (Rom. 4:16)? I don’t see how faith as the basis upon which He saves and unbelief as the basis upon which He damns are travesties to divine sovereignty. I have asked this question many times, and I still demand an answer from Calvinists. I haven’t received one yet. Most people refer to Israel as an example of God’s unconditional election. God did not choose her based on anything special about her (see Deut. 7:7-8). However, the “anything special about her” did not rule out the necessity of faith, since many did not inherit the Promised Land because they lacked faith (see Numbers 14:20-24). Evidently, it was faith God required in the individuals (Hebrews 4:1-2). The evidence for conditional election rules out the idea that unconditional election is true...and yet, no Reformed Arminian would reject the idea that, had God wanted to, He could have saved via unconditional election. If the Reformed Arminian can consider unconditional election, why can’t the Classic Calvinist consider conditional election as, at the very least, a possibility?